easyfundraising is a shopping directory listing some of your favourite online stores including Argos, Next, Debenhams, John Lewis, Toys R Us, HMV and over 2000 others. Just use the links on the easyfundraising site whenever you shop online and, at no extra cost to you, we'll receive a free donation of up to 15% from every purchase you make. It really is that simple ! 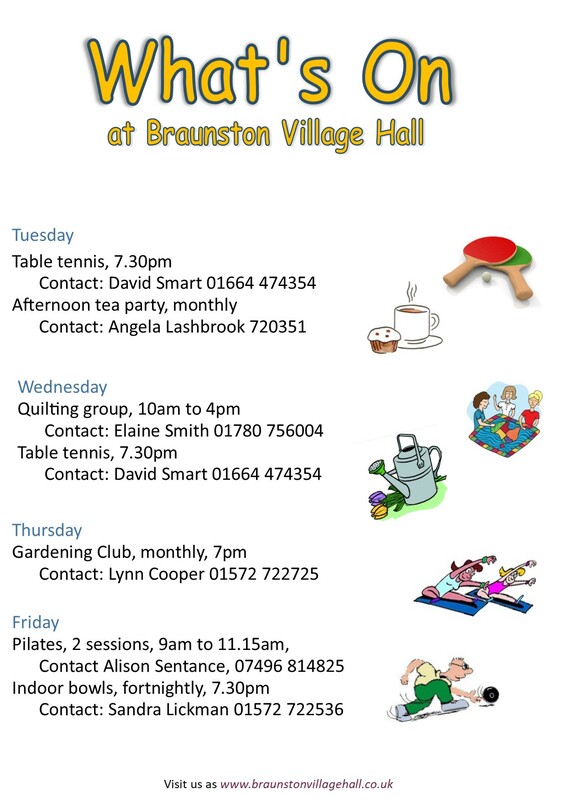 and when you register, select Braunston and Brooke Village Hall Appeal as the organisation you wish to support. You can also raise funds when you search the Web - with easysearch, a search engine with a difference ! When you search the Web with easysearch instead of Google or any other search engine, you'll raise funds for us with every search you make ! Just like easyfundraising it's completely free to use and if you make just 10 searches a day, you could raise £20 a year - or more - for us, just by switching to easysearch. What's more, easysearch is a 'super' search engine that combines the strengths of several search providers together - Yahoo!, Bing, Ask.com and many more. easysearch tracks down the most relevant and accurate results from across the Web, which means you'll find what you're looking for quickly and easily every time - all in one 'easy' search. Check out the unique easysearch page at http://bbvha.easysearch.org.uk and use it every time you search the Web.